The internationally renowned fine art animation artist exhibits a selection of his many award winning films and two dimensional artworks. 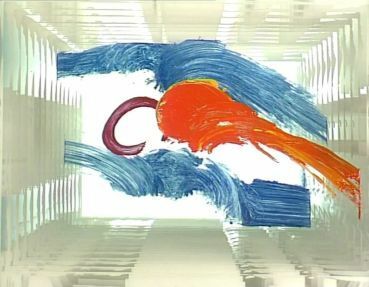 The resulting films and installations account for most of what reputation he has gathered over the years despite painting being the core inspiration behind all of his work. In order to bring the values of painting to the cinema and TV screen Walley creates an unusual animation technique using oils and paints on layers of glass. After completing his first film, 'This Is Your Life', for the Welsh Arts Council in 1972 he has produced films for S4C and Channel 4 in England, including 'Y Rhaeadr', 'Quartet', 'And Now You' and saw his 'Divertimenti' series screened internationally winning awards at the Ottawa and Zagreb Festivals.